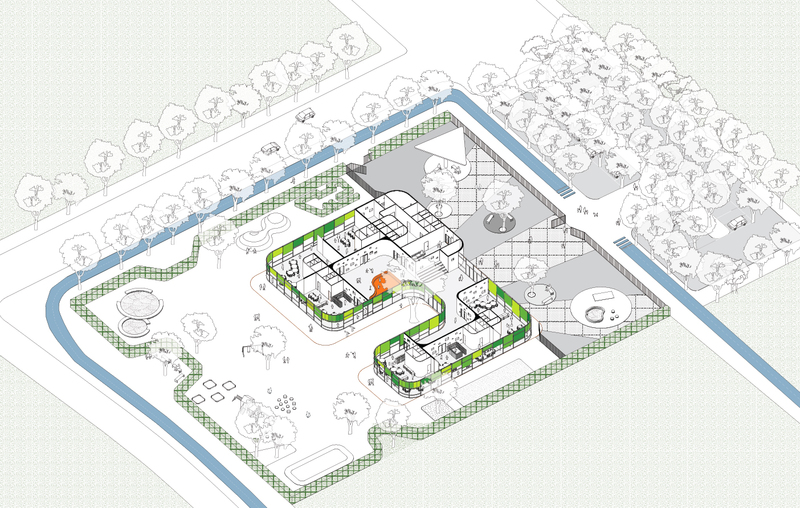 This project organizes the entire site into four functional components: a pedestrian promenade, a public square, a school building and a garden. 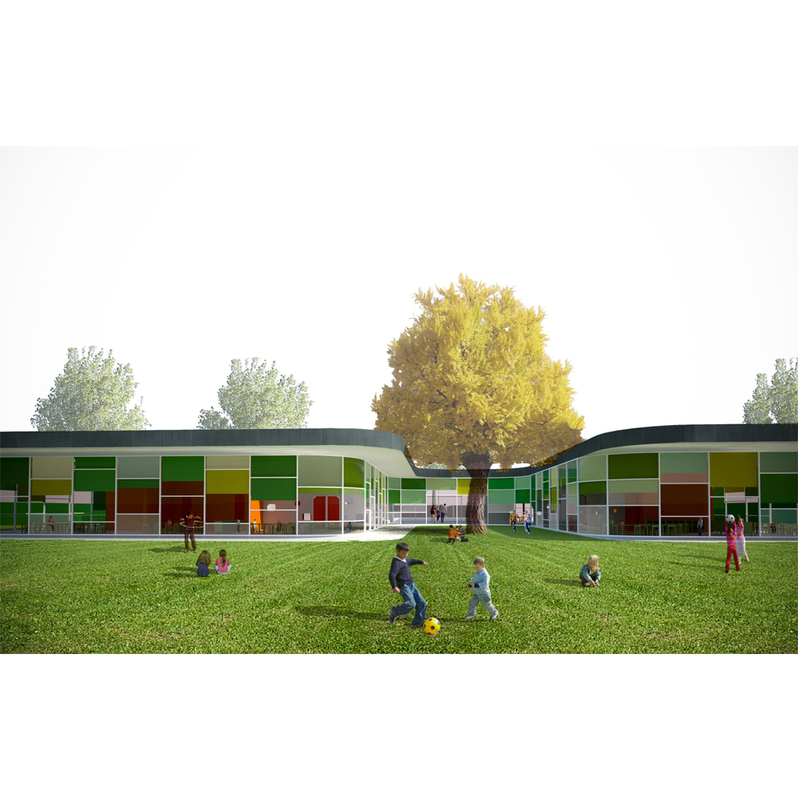 The entrance space of the school is conceived as a square, and the educational building is treated as one of the main functions of the project, for it has the potential to foster human relationships and social integration among children and parents alike. The building is designed as an open courtyard surrounded by halls that serve as spaces for socializing and playing. Inside the courtyard, a great tree becomes the representative icon of the school.